Why? Because it’s fun to see yourself hand drawn on a napkin or any object you can imagine, including archival drawing paper (imagine that)! 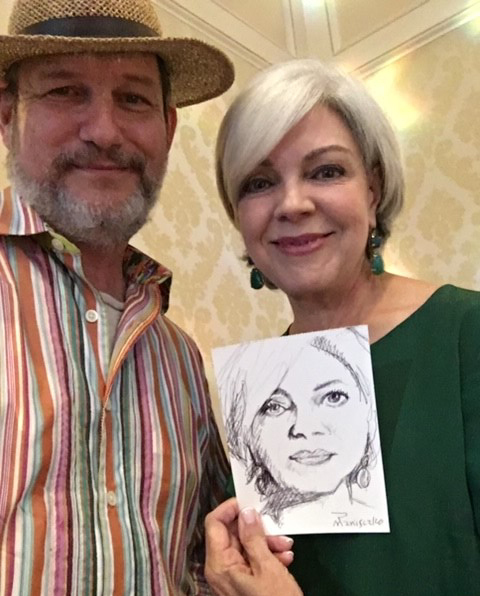 Robert will draw the facial portraits of your guests in a matter of minutes, giving them a great conversation starter and leaving them with a memorable keepsake to frame or use as their FB profile pic, forever capturing their wonderful experience at your event. If you have a special theme, Robert (also, a seasoned actor) can become any number of fun-loving characters, like Picasso, who was famous for drawing on napkins to pay for meals when out at a restaurant. Quick Draw McGraw is another popular character, for your western adventure. He can dress as John Singer Sargent or any other character to fit into the theme of your party. Brainstorm with the artist to find the character who fits your theme. Paper or Plastic? Robert can draw on virtually anything that can take a sharpie. Be creative. Parties are supposed to be fun. Special orders don’t upset us, they make our lives more interesting! 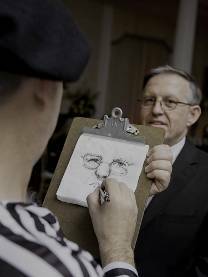 In his quick sketch performances, Robert will have your guests smiling and chatting as he interacts, in or out of character, mingling around throughout the evening, and quickly capturing your guests unique likeness and distinct character. There’s nothing more compelling and exciting than seeing how an artist sees you. 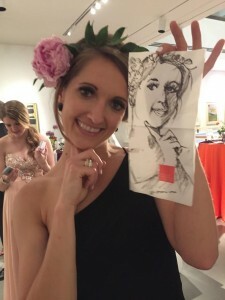 He can produce a sketch every 4-5 minutes and will ultimately draw a crowd waiting with anxious anticipation.When the sketch is finished your guests will have the option to mat and frame the finished work or wipe their (fill in the blank) with it. It’s all part of the fun! 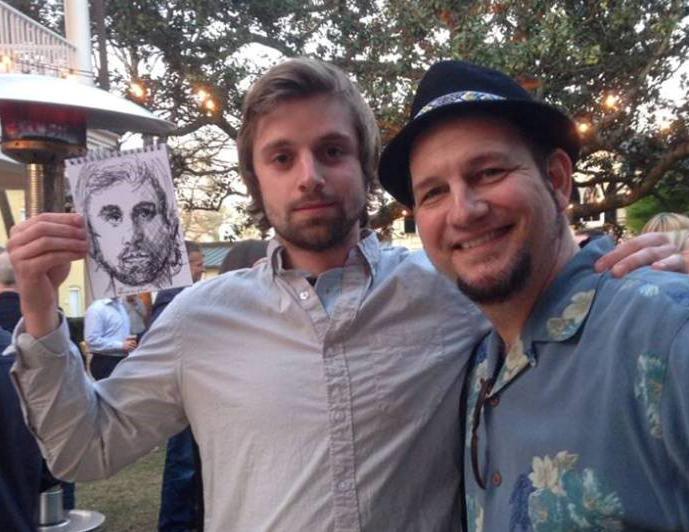 Robert can sketch in ink, charcoal, conte crayon or graphite.